Nungnung is the name of a small village, 40 kilometers north of Denpasar with a height of 900 meters above sea level. This tourism object is located in Badung District evening. It lies about - about five miles before the bridge Tukad Bangkung known as the tallest bridge in Asia with a specific height of the pillars reached 71.14 meters. in this village there is a waterfall with a height of 50 meters with large water discharge. to reach the location of such waterfalls we must trace hilly rice fields about 2 miles from the highway. Nungnung waterfall is one tourist attraction that must be visited when we went to Bali especially for people who love trekking tour, because to get to the location of this waterfall down the stairs that we have quite a lot of numbers, so we can get down to the river valley and can see the waterfall from close range. ladder - steps to the waterfall is already available and adequate security, even in the valley which is closer to the cave, with leaves and moss-green atmosphere. after the satisfaction of seeing the waterfall the tourists can enjoy special food or simply unwind on the couch - the small bale provided along the path. NUNUNG Waterfall is a tourist area which has a fairly extensive parking facilities and access roads to the great waterfall, there's only a little derivative of the stairs - the stairs. scenery along the way is very green and refreshing. Also very cold air. and no place to rest can we visited. after walking about 20 minutes, we will arrive at the waterfall which has a fairly heavy discharge of water. discharge of heavy water and surrounded with bertebangan steam - water vapor that makes the atmosphere became so cool, refreshing and calming. when we are close to the waterfall we could see the long bridge that connects Bali to Kintamani route, ie Tukad Bangkung Bridge. This waterfall start promoted as tourist attractions since 1996. since this year, facilities condition Nungnung waterfall has undergone many changes, such as the existence of a range of facilities - other additional facilities to support this tourism object. because it is situated in rural areas, add to the beauty that makes this waterfall interesting to visit. once you visit here will be memorable and make memories that we want to always come to this place again. This beach is an alternative beach in Bali besides Sanur Kuta and Nusa Dua. This beach have white shore with very beautiful cliff around it. This make Dreamland beach different from other Beach in Bali. For tourist who loved Surfing also able to test their skill here. Because this Beach also have good waves, maybe as good as Uluwatu waves and even better than the waves in Kuta. Dreamland Beach located about one hour from Denpasar, located In Jimbaran, Bukit area. f you want to stay at jimbaran in your holiday in Bali, make sure you visit this beach, and get the different sensation from other beach that you've already visit. Located in Pajarakan Village, Gerokgak District Buleleng Regency, it's about 60 kms from Singaraja, it's located near the West Bali National park. This beach area also near the Menjangan beach that usually used for Snorkeling or Diving Banyuwedang Hot spring come from the hot spring in the beach area, This hot spring is the largest hot spring in Bali. This hot spring contain a little of Sulfur, the average temperature is around 40 C. Because of its sulfur, this hots ping believed able to cure a lot of disease. There is a lot of people come to this place with a hope to cure their sickness. In the beach area of the hotspring, there are a lot of mangrove (actually this hotspring located in the middle of mangrove forest), so this area was free from abrasion. There also a creek with a white shore in this hotspring area, this make banyuwedang hotspring even more beautiful than what you have been thinking. The domestic tourist was dominated the visit to this area, they come with a hope to cure their sickness, lot of domestic tourist come from Banyuwangi, Java. This make goverment of the Bali regency planning to make this area as a "Health Tourism". In the town of Mengwi is the great royal temple of Pura Taman Ayun. The temple served as the family temple of the Mengwi dynasty, whose kingdom survived until the late 1800s. The temple was built by I Gusti Agung Anom, a founder of the Mengwi kingdom in 1934, and were skilfully and renovated in later years, giving its present appearance which tourists find so attractive and interesting. The temple is famous for its exquisite wooden merus, or pagoda-like shrines. The name itself means beautiful garden. It is built on a high tableland which is surrounded by ponds. This gives the effect from afar that the temple is floating on water. In the central grounds is a building called the 'bale pelik' with beautiful carvings with interesting reliefs and statues of the nine gods, Dewa Nawa Sanga. In the innermost court, there are twenty nine buildings which function as places for the gods and goddesses. There are other buildings which house religious regalia used in the ceremonies. There are multi-roofed structures, some of them having eleven roofs called 'meru meru'. The central section is surrounded by a small pond, thus the whole complex is symbolic of the great Mandhara Mountain turning in a sea of milk. The temple complex has three ground areas which rise in levels. In the most external one there is a general purpose hall which is used for religious ceremonies and for staging of dances. Close by is a decorative fountain. Many people visit this temple, not for its antiquity as it was only renovated in 1937, but for its ambience and air of serenity. The temple has an ideal recreational garden, the air is cool and the still waters provide a safe environment for all sorts of aquatic creatures which live in the ponds. The calm waves and the black sand satisfy in the Lovina beach north Bali . The coastal villages of Anturan, Tukad Mungga, Kalibukbuk, Kaliasem and Temukus are throughout a streching of 8 kilometers of the beach of the sand of the black of the tranquil. Only located four kilometers to the west of Singaraja, the capital of Bali of the north, and an impulsion of the ninety-kilometer of Denpasar. Away from mass tourism, Lovina is a safe haven of tranquility especially popular among culture and nature lovers. Lovina's traditional, rural surroundings of fishing, farming, forests and plantations guarantee for relaxing holidays. The founder of Lovina - Anak Agung Pandji Tisna, the last person to hold the title of Raja of Singaraja and also a famous novellist, .is known as the founder of the Lovina tourist beach resort because he was the first person who built an accommodation named Lovina (an acronym for 'Love Indonesia') in the area in August 1953. He had introduced Lovina as a tourist beach resort in North Bali worldwide by writing a number of articles in international publications for years until he died in Lovina on June 2nd, 1978 at the age of 70. This resource has many restaurants at the moment specially those the offer seafood, some hotels of the star, and many good comforts and truth that relax For those without the licenses of the jump, one can obtain liscensed in a question of some days of courses in Lovina. The enthusiastic one of the jump will probably wish to be transferred ignited to the island of Menjangan, the most famous site of the jump of Bali. 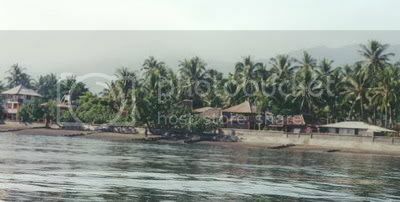 It is impulsion of one hour of Lovina where one then would take to 30 meticulous stroll of the boat on the island. Like part of the national park of Bali Barat, the island of Menjangan either is known for her is the clear water the more in the archipelago indonesio, in where you can go to plunge or to snorkeling between filones coralline and the fish in the chispeante clear water. Another popular attraction is to watch of the dolphin. A traditional boat small call, jukung, can be used form the villagers in the morning to bring us of border to satisfy these elegant and pretty creatures.